Tattoo is injecting a dye in a specific design into your skin . They can be permanent or temporary tattoos also they can be simple ones with one colour or complex ones with multi colours. If you have got a tattoo done and are looking for treatments to get it removed you have reached the right place. 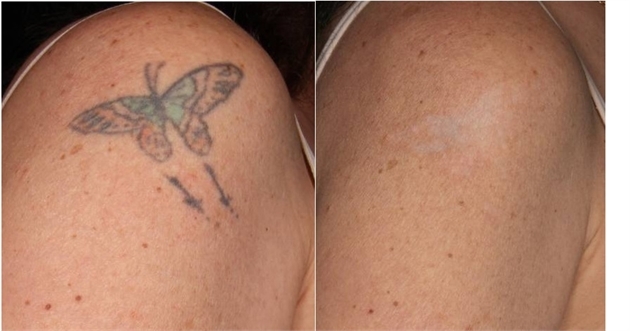 At Our clinic we use QSwitch laser to help you get rid of your tattoo. What kind of tattoos can be treated ? 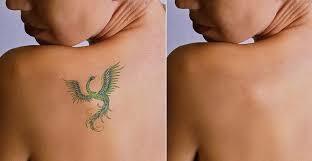 Tattoos with single color can get treated quickly compared to tattoos with multi color . The sessions required would be more for tattoo with multi colors . A topical numbing cream is applied before the procedure. Negligible side effects like redness or hypopigmentation can be observed in very few patients . Chances of allergies or scar formation is very rare. Our clinic believes in giving your best results with no side effects.